Have you seen my declutter plan? If you haven’t you can find it here. The idea is that I tackle one thing every day for 15 minutes, and the first place on my list to start is the hallway. To receive a copy of my plan subscribe to my blog and it will be in the confirmation email. 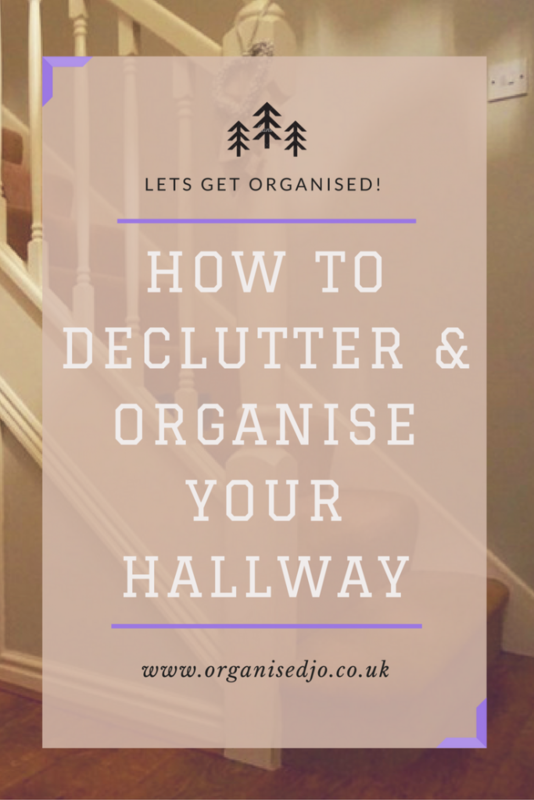 As I work through the plan I will be sharing ideas on how to organise each room after you have declutted and I will be sharing these on my newsletters. 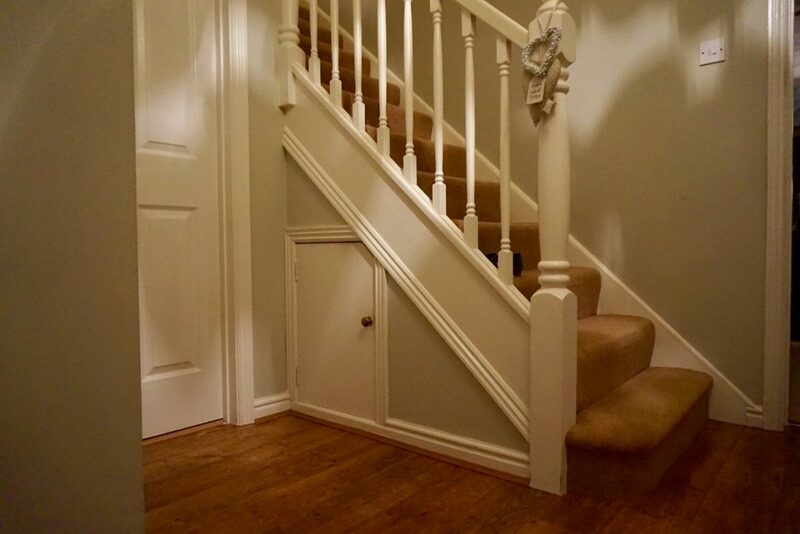 By the way, my plan just covers things in my house that I need to sort out. Please feel free to amend and add anything else you have. The plan is just a guide to help get you started. 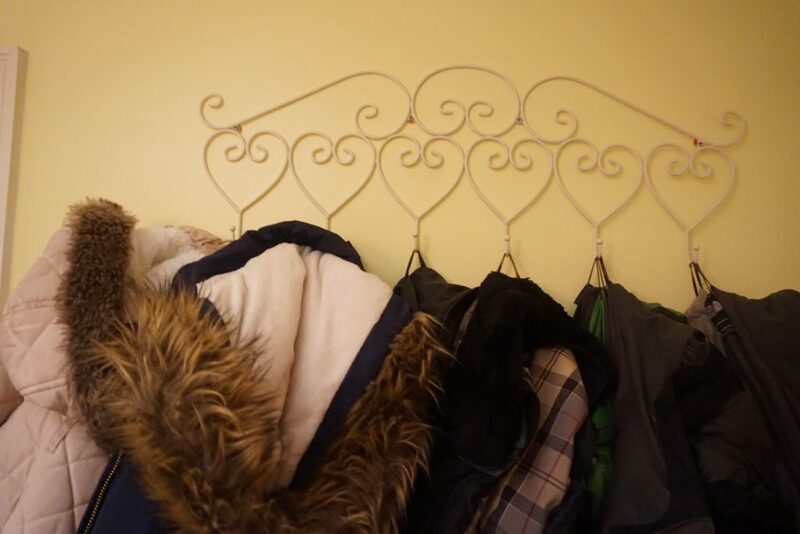 Our coats are actually in the playroom just off the hallway. Our shoes are stored in a little understairs cupboard. This was already here when we moved in and is fitted out with shelves. These wonderful drawers are made and fitted by a company called Clever Storage. I am saving as we speak for one of these. These drawers would make such a difference for me, I mean the family! And now to the bags. 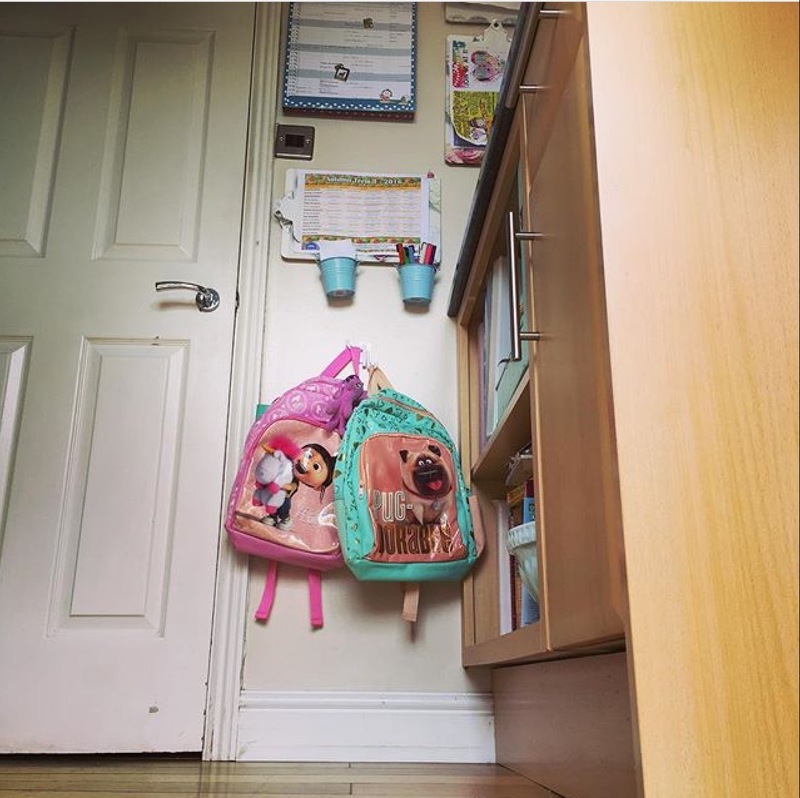 I use self adhesive hooks from Wilkinsons that are stuck to the wall just inside the kitchen to hang up the girls school bags. I have loved this. 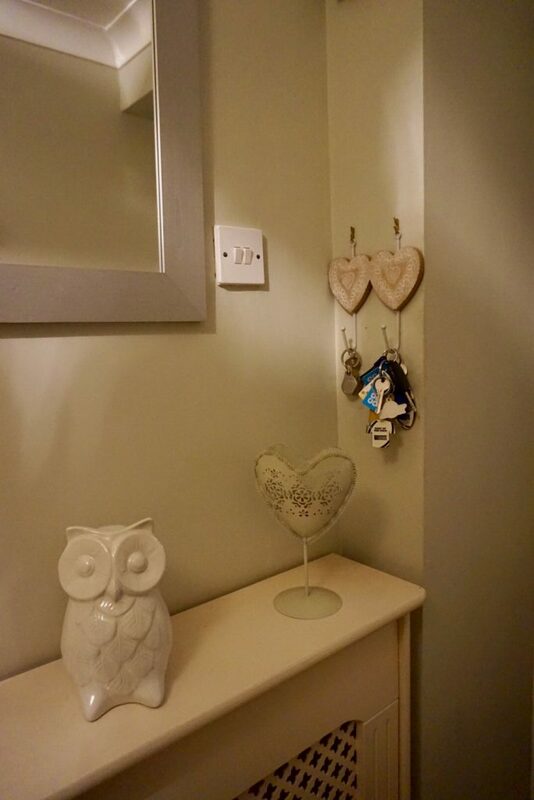 It is really surprising how just lifting something off the floor makes the space feel tidier. I have also found that the stairs turn into a dumping ground. They are a magnet for everything that needs to go upstairs but never get taken. 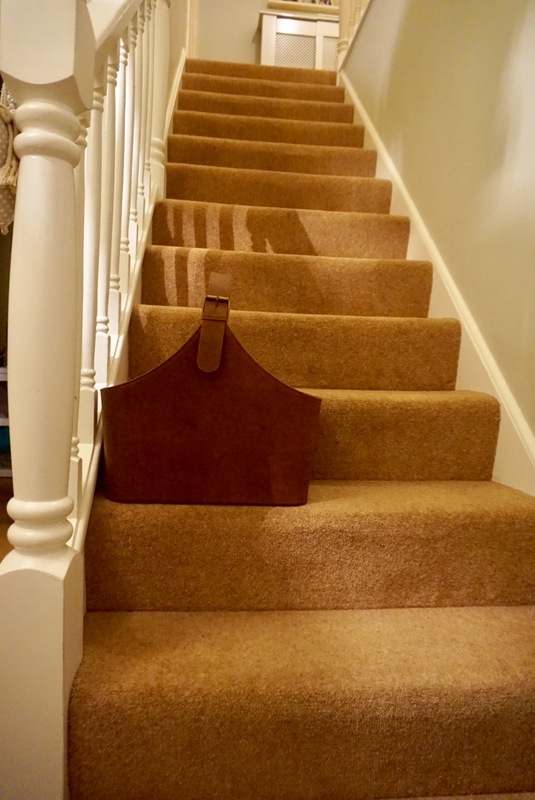 I found this leather basket in the Wilko sale last year and it sits on the stairs so during the day I put things in there that need taking upstairs. At the end of the day I take it upstairs and put everything away. It really does make difference.